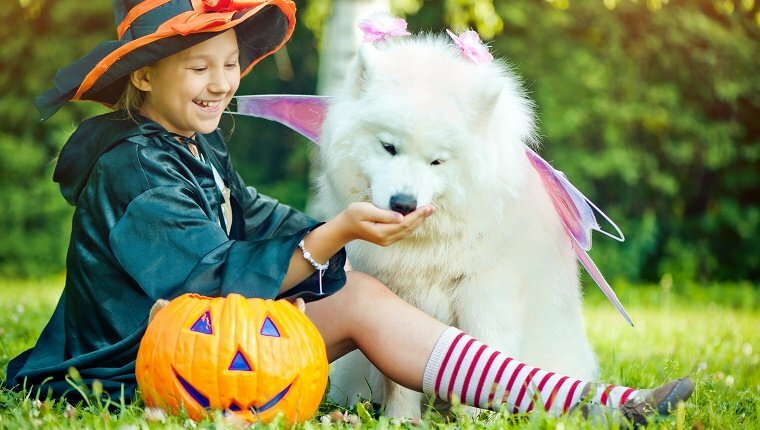 Kids will be ringing your doorbell for candy soon, but you can be prepared for dogs who want to get in on the fun this Halloween, too! Halloween can be very dangerous for dogs! 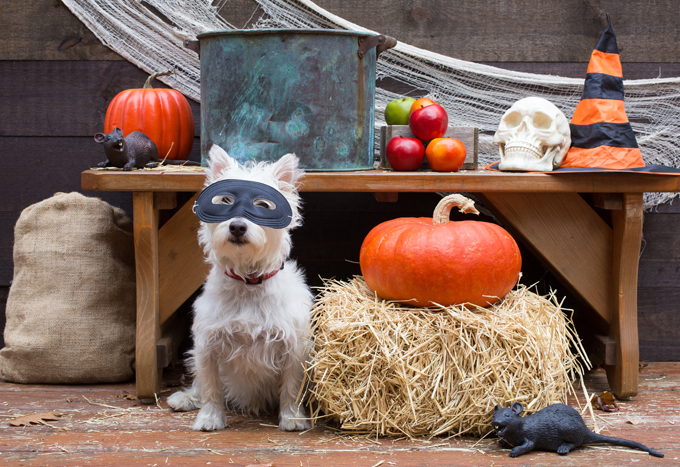 Follow these 10 tips that will help ensure your dog’s safety and happiness on Halloween. Halloween is lurking around the corner like a vampire in the night. But all that fun isn’t just for the humans. Our doggy pals want in on the yearly monster mash, too. 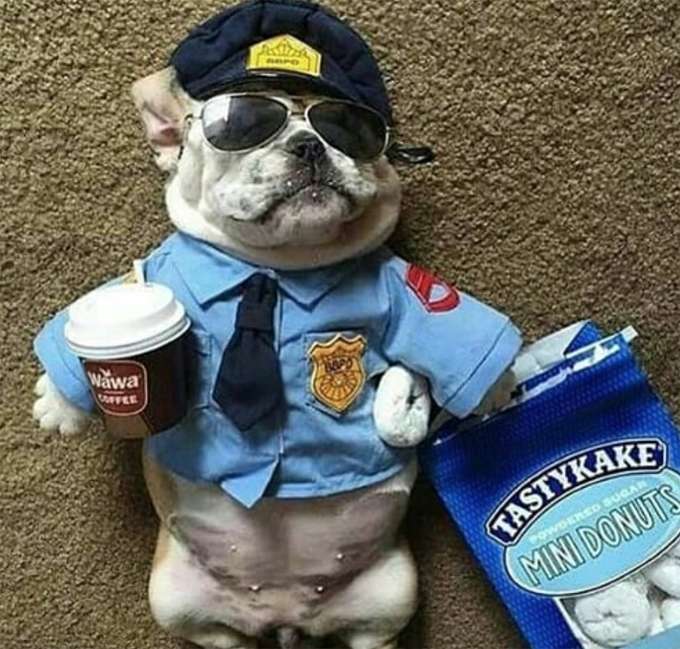 If you are looking for the best Halloween costumes for large dogs, then you’ve come to the right place. 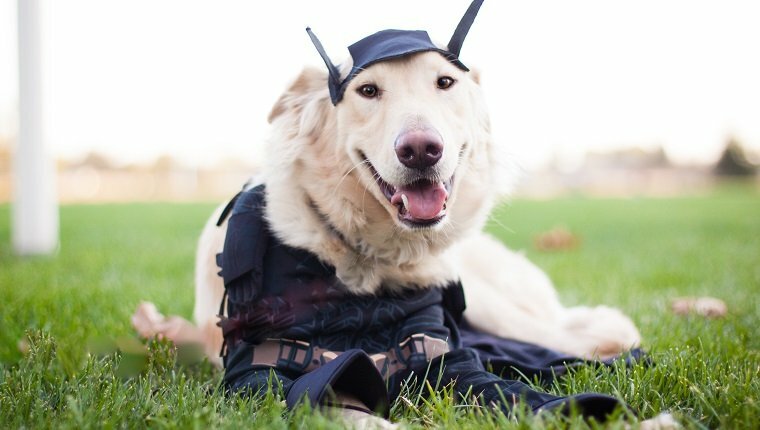 We searched all over Instagram to find our favorite doggy costume inspiration and brought it down to these 10. 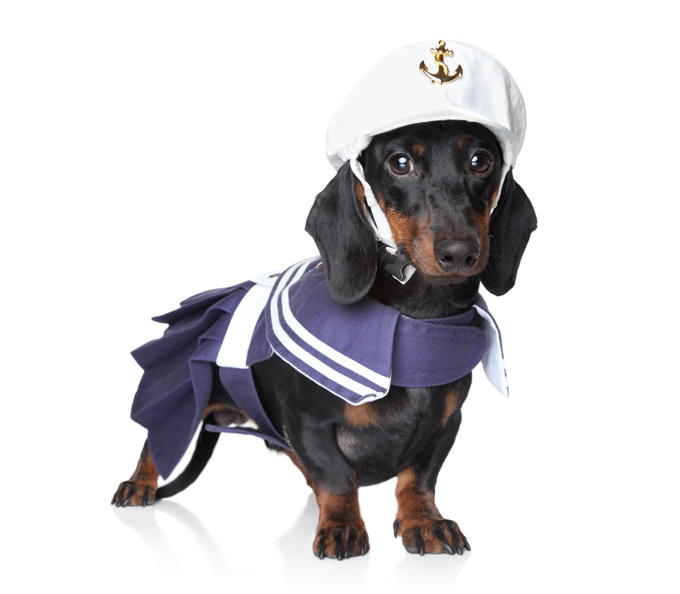 If your wiener dog does not seem to mind dressing up and playing human on Halloween, here are some costumes that would look adorable. 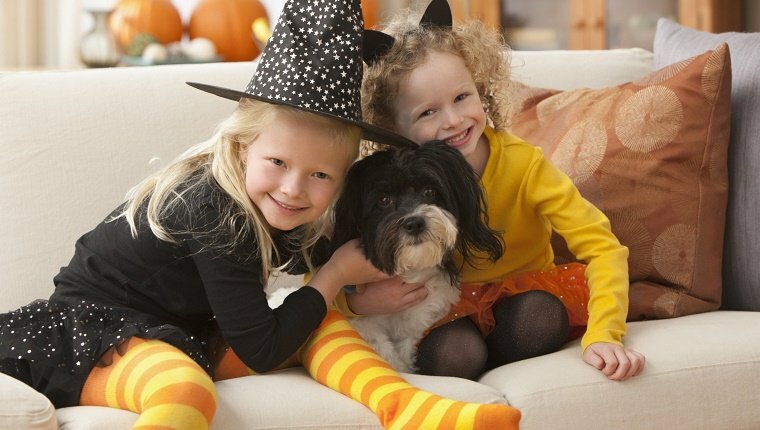 Get your pup ready for trick-or-treating! 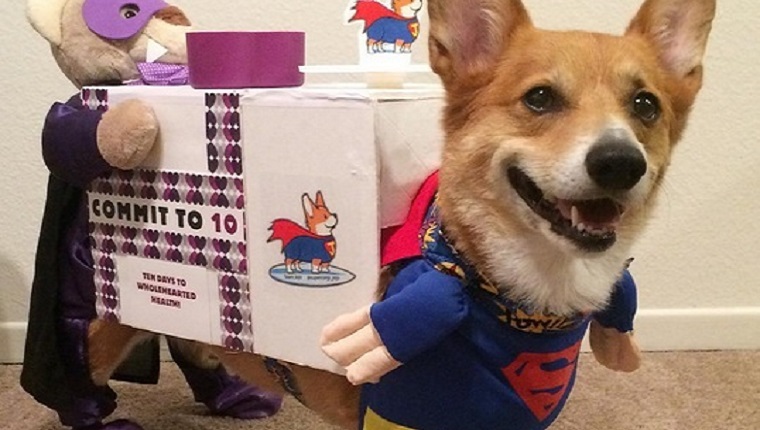 These are some great, silly costume ideas to dress up your dog for Halloween! Which one is your favorite? The days are getting shorter. The nights colder. And, recently, your pup has been acting… strange. 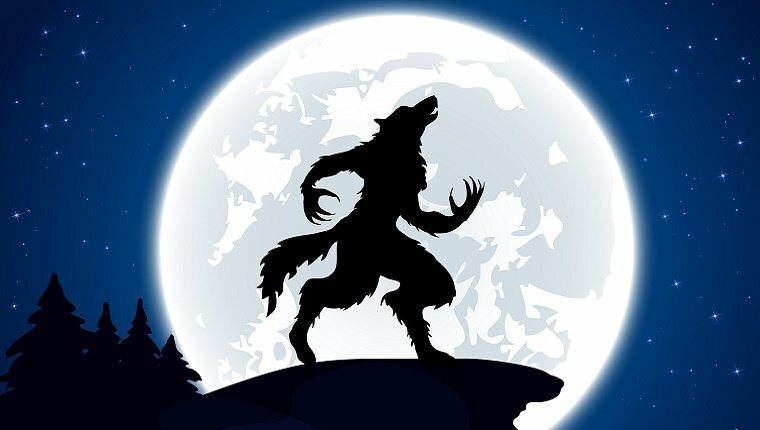 Is your dog turning into a werewolf? Here’s what to look for. 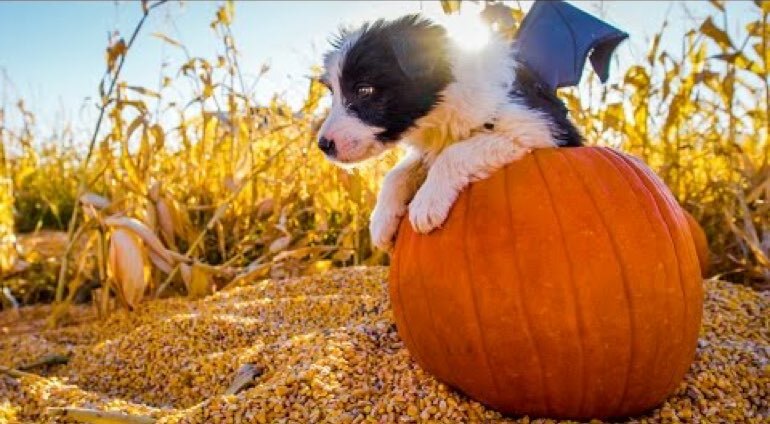 Watch these adorable puppies enjoying changing of seasons and their favorite holiday–HALLOWEEN! 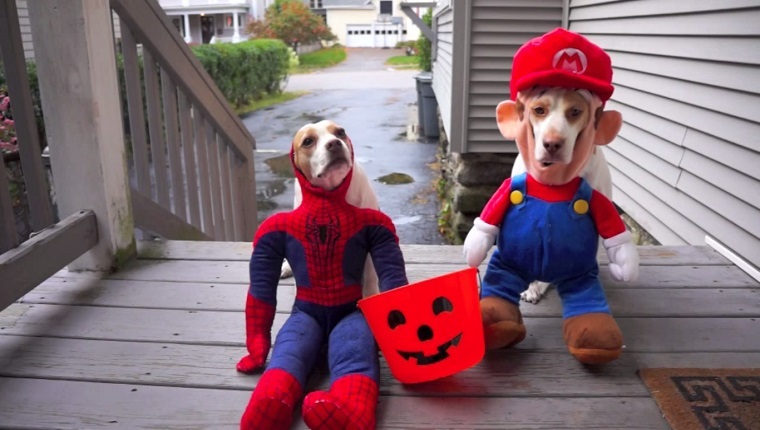 Does your dog love Halloween as much as these cute pups? 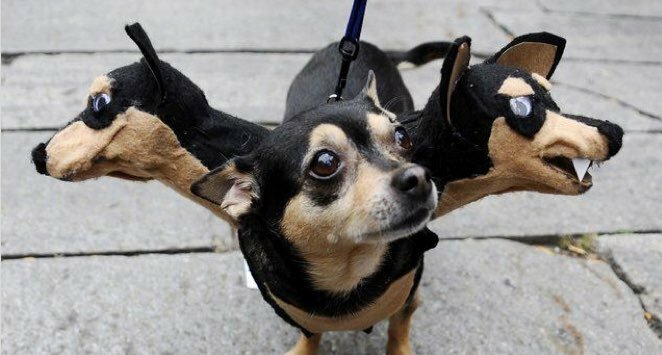 One of our readers is worried that her new pup will go batty when trick-or-treaters ring the doorbell. Dear Labby has some Halloween advice! 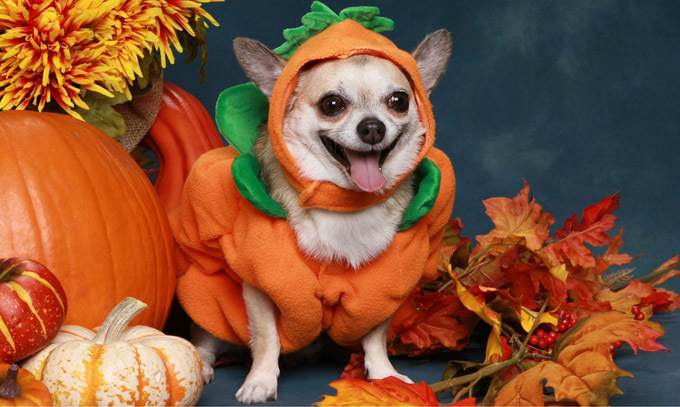 Halloween can be the most stressful holiday of the year for dogs after the 4th of July. 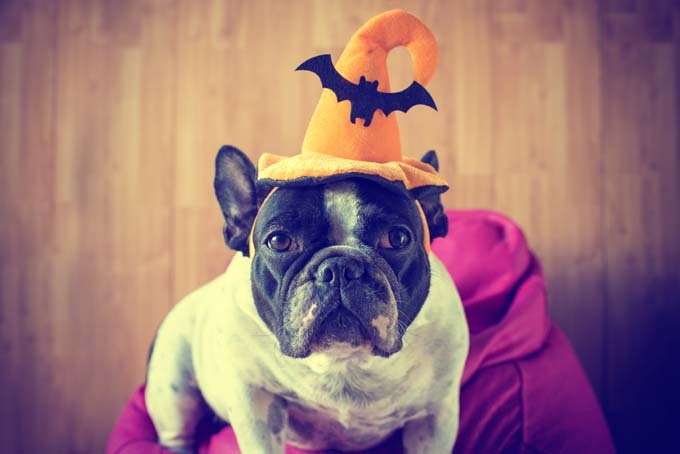 Here are a few steps you can take on Halloween to reduce your dog’s anxiety. 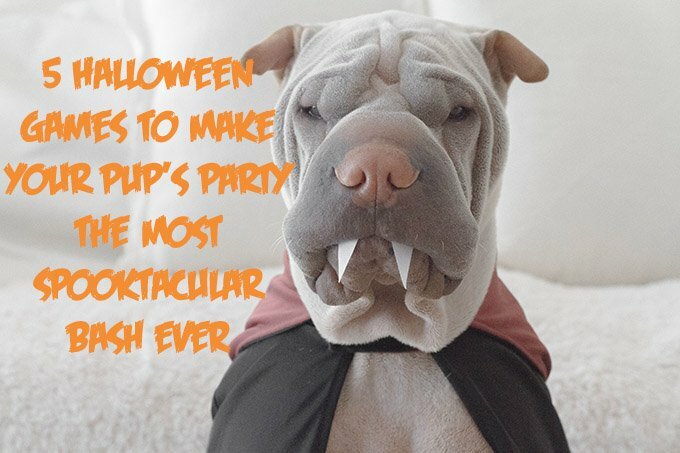 Feel like throwing a little get-together for your pooch and a few of his closest friends? Consider these fun dog-friendly games to get the night going. 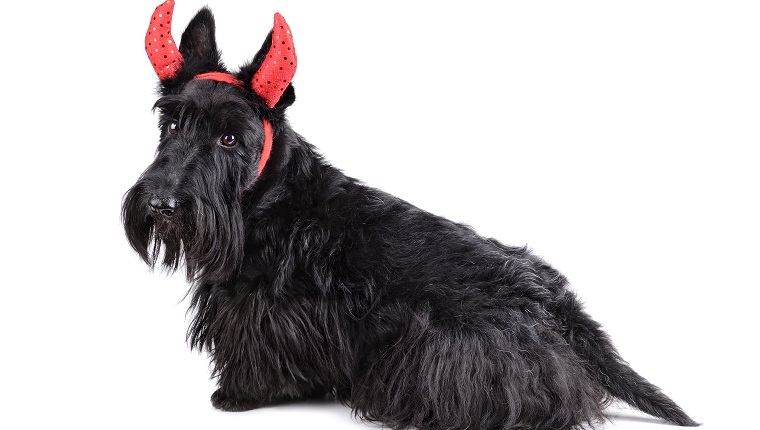 Halloween night can be fun for humans, but for pets it can be a very scary time. Check out these tips and pointers to help keep your furry friends safe. 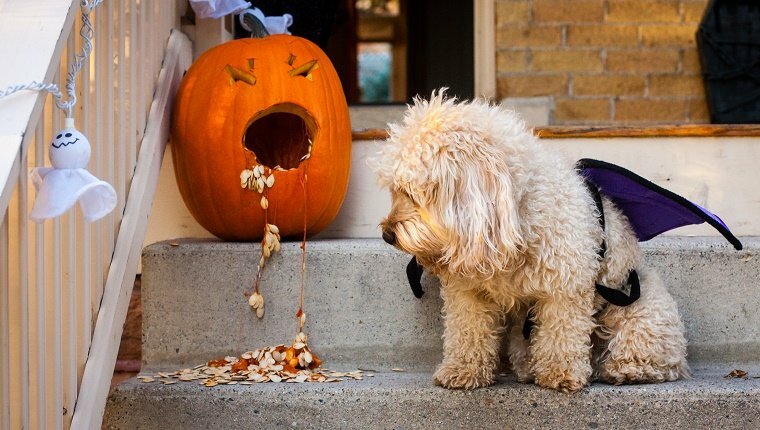 Halloween can be stressful for pets! Here’s how to read your dog’s body language that reflects their mood around this holiday. Dachshund owners get so creative on this holiday, and their pups’ sausage-like bodies look so silly and cute when they wear their Halloween attire. Why Are People So Mad When I Dress Up My Dog For Halloween? 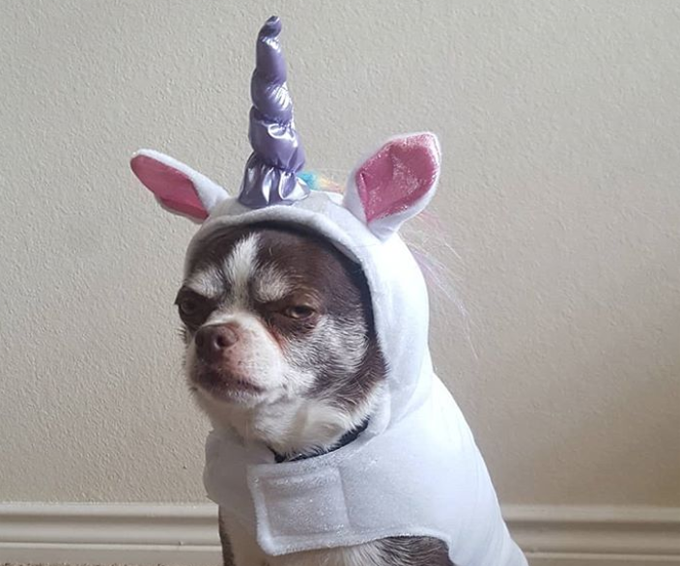 So you dressed your dog in an adorable Halloween costume and got some angry comments. What gives? Why all the anger? Can’t they just appreciate how cute your pup is? 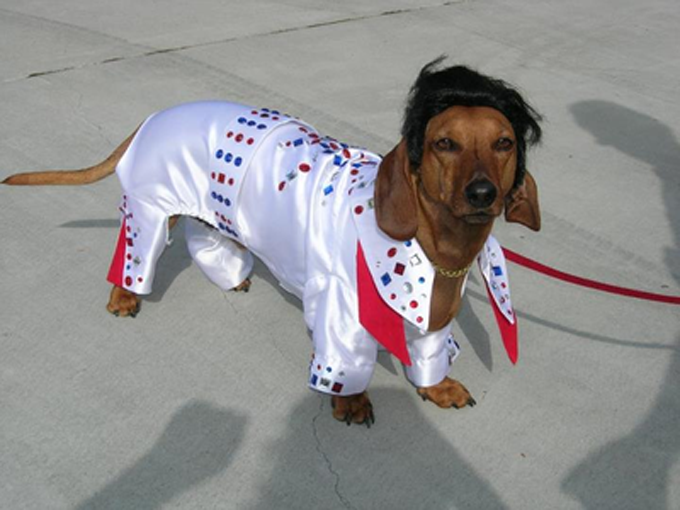 Some dogs seem perfectly fine dressing up. Some, not so much. If your dog does not like wearing costumes, never force it! Let your dog be a dog! 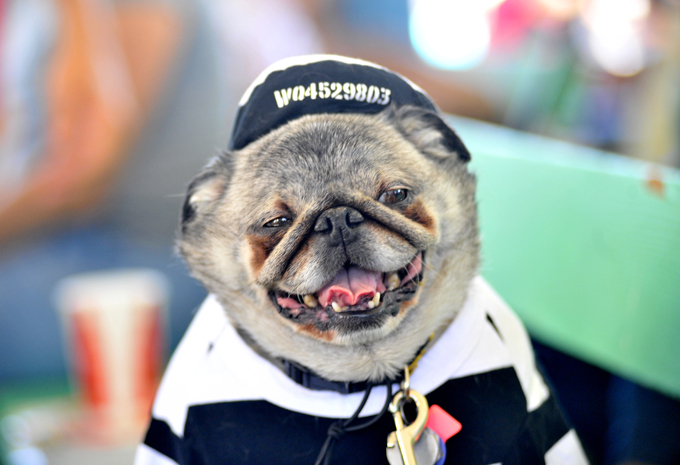 10 awesome costumes for Pugs. Please never force your dog into a costume. If they seem unhappy we advice removing the costume immediately. Let’s all have a Happy Halloween! 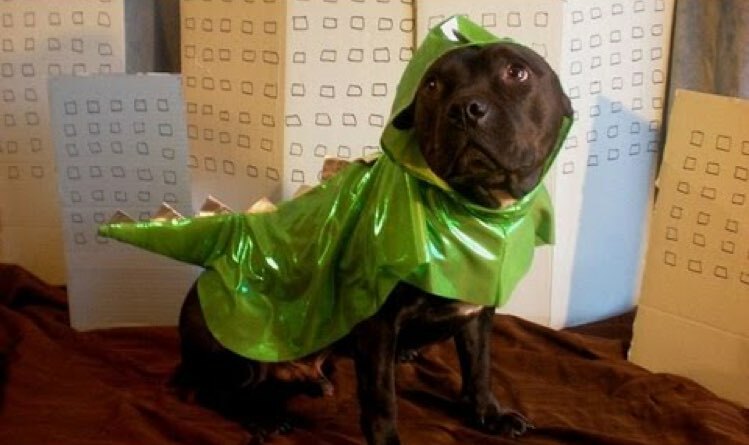 Need a Halloween costume for your dog or cat? You’ll see everything from Freddy Kruger to Puss in Boots. 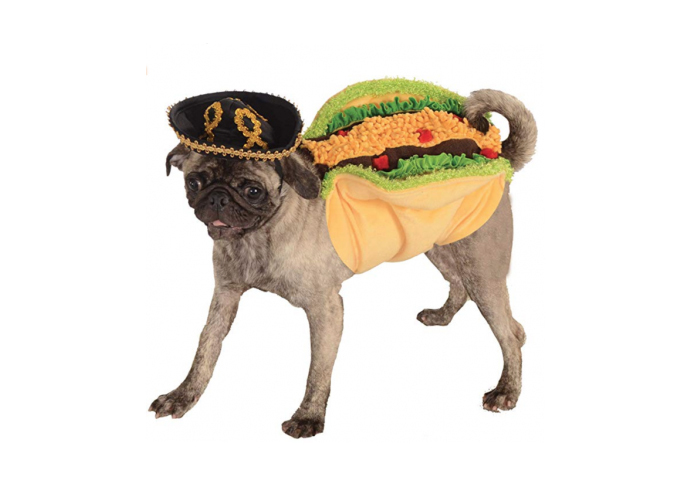 Does your dog enjoy wearing Halloween costumes?